Ships and divers from 12 countries will arrive in Tallinn tomorrow for ongoing work to clean up a World War II legacy - mines in the Baltic. The Open Spirit mine clearance and ordnance disposal exercise dates back to 1997 and was launched by the German navy. "Over the years, the Estonian navy has taken over as planner and organizer," said Lt. Cmdr. Jüri Saska, commander of the Navy's operations and planning department. This year, 19 ships from Belgium , the Netherlands, Germany, France, Sweden, Latvia, Lithuania, and diver units from the US, Canada, Estonia, Lithuania and the Netherlands will clear Estonian waters from May 14 to 25. "The Baltic and especially the Gulf of Finland has been very heavily mined during various conflicts," said Saska. "There are very many resources offered to us by our allies for covering large areas, and the allies in turn get good, realistic practice. The area of operations - chosen based on historical minelaying information and past mine clearance - will be in the Bay of Tallinn, north of Naissaar island, north of Hiiumaa and between Muhu and the mainland. The international divers' base camp will be in Suursadam harbor on Hiiumaa. With recreational boating and diving on the increase, Saska emphasized the public service aspect. 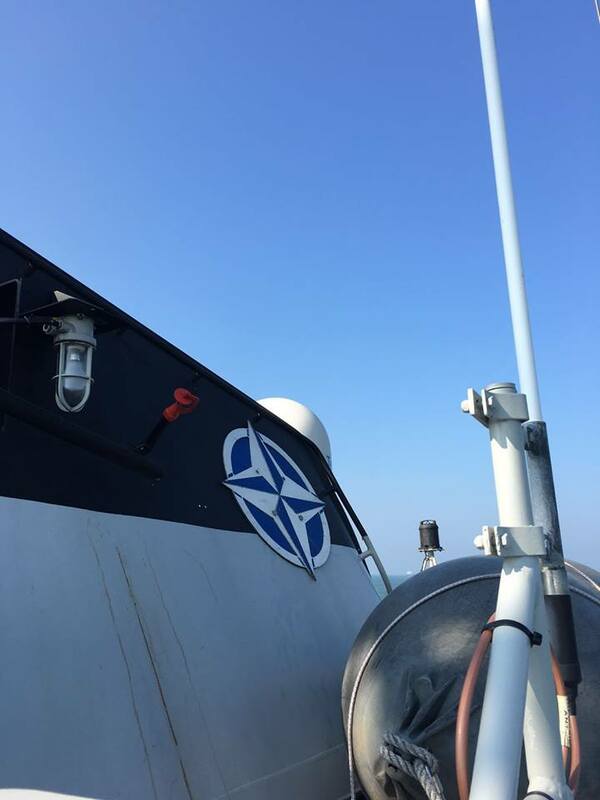 Estonia itself has three fully modern mine countermeasures ships in the Sandown class, a special team of mine clearance divers, and a mine information centre. According to various sources, 150,000 naval mines were laid in the Baltic Sea in the world wars, 80,000 of them in the Gulf of Finland. Two French minehunters, the Cassiopée and the Sagittaire, will be moored in Tallinn's Old City Harbor on May 12 and will be open to the public from 13:00 to 17:00. The pair of minehunters, participating in a joint mine-clearing operation Open Spirit in Estonian coastal waters in May, will be berthed on Saturday next to the entry to the Old City Harbor's cruise ship area, with access via Logi street. CMT Cassiopée is an "Eridan" class minehunter built for the navies of France, Belgium and The Netherlands. The French built the mine-hunting equipment, the Belgians provided the electronics and the Dutch constructed the propulsion unit. Displacing 615 tonnes, the Cassiopée was built in 1980 and commissioned into service in 1984. The Sagittaire, belonging to the same class, specializes in detection and neutralizing of bottom mines. It was built in 1993 and commissioned into service in 1996. Like its twin, it has a crew of 48. Début de l'exercice "Open Spirit" en Estonie, avec un navire belge. L'exercice international de déminage des eaux de la mer Baltique "Open Spirit-2012" a débuté lundi au large de l'Estonie avec la participation de dix-neuf navires, dont le chasseur de mines tripartite (CMT) "Primula" de la Marine belge, a rapporté mardi l'agence Itar-Tass, citant un porte-parole estonien. "Dix-neuf bâtiments venant de Belgique, d'Allemagne, de France, de Suède et des trois pays baltes, vont, en coopération avec des plongeurs américains, canadiens, estoniens, lituaniens et néerlandais, nettoyer les fonds de la Baltique des munitions et explosifs qui y ont été déversés durant les deux guerres mondiales" durant dix jours, a expliqué le lieutenant Juri Saska.Une attention particulière sera accordée au golfe de Finlande, qui est connu comme l'un des endroits les plus pollués par les mines de toute la Baltique, une mer peu profonde. Les experts estiment que 150.000 mines y ont été mouillées durant les deux conflits mondiaux, dont 80.000 dans le seul golf de Finlande.L'exercice Open Spirit se tient tous les ans dans les eaux des trois pays baltes (Estonie, Lettonie et Lituanie) depuis 1996 à l'initiative de la Suède.L'édition 2012 se poursuivra jusqu'au 25 mai. Le M924 "Primula" et son équipage d'une quarantaine de marins sont actuellement affectés à la flottille de l'Otan "Standing NATO Response Force MCM (Mine Countermeasures) Group 1", le SNMCMG1, une unité multinationale de lutte contre les mines. Maritime Force Protection Exercise (MFPX) between BNS Primula against BNS Castor and a Alouette III from 40 Sqn. Bring it on! Exercice de Force Protection en mer (MFPX) opposant BNS Primula au BNS Castor et une Alouette II de la 40ème Escadrille. Même pas peur! On monday March 14th, BNS Primula joined the Standing NATO Mine Countermeasures Group 1 (SNMCMG1). During the next three months BNS Primula will participate in numerous naval exercises and MC operations together with her current colleagues FGS Donau, FGS Dillingen, HMS Ramsey and HNoMS Otra. Op maandag 14 maart vervoegde BNS Primula de Standing NATO Mine Countermeasures Group 1 (SNMCMG1). Gedurende de komende 3 maanden zal BNS Primula deelnemen aan verschillende maritieme oefeningen en mijnenbestrijdingsoperaties samen met haar huidige collega's FGS Donau, FGS Dillingen, HMS Ramsey en HNoMS Otra. Le lundi 14 mars BNS Primula rejoint le Standing NATO Mine Countermeasures Group 1 (SNMCMG1). 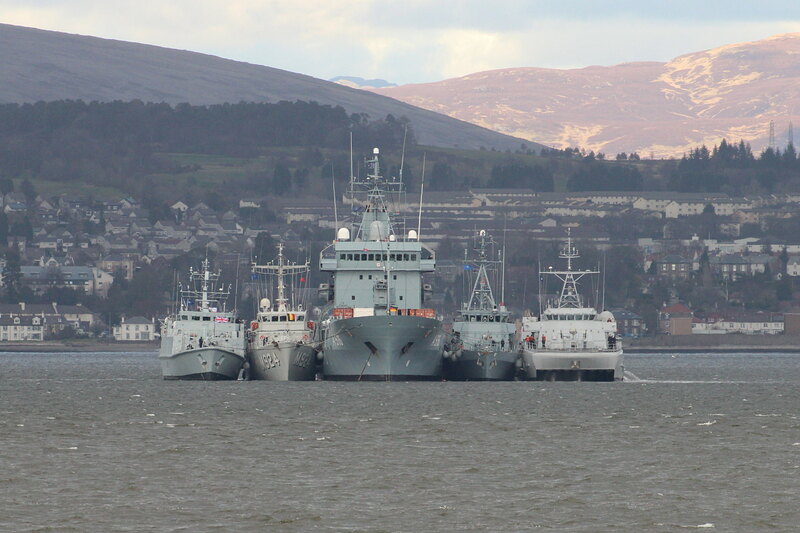 Pendant les trois mois à venir, BNS Primula participera à plusieurs exercices navals et des opérations de déminage ensemble avec ses collègues FGS Donau, FGS Dillingen, HMS Ramsey et HNoMS Otra. tiens-tiens pas de chasseurs de mines hollandais dans SNMCGM ? ?